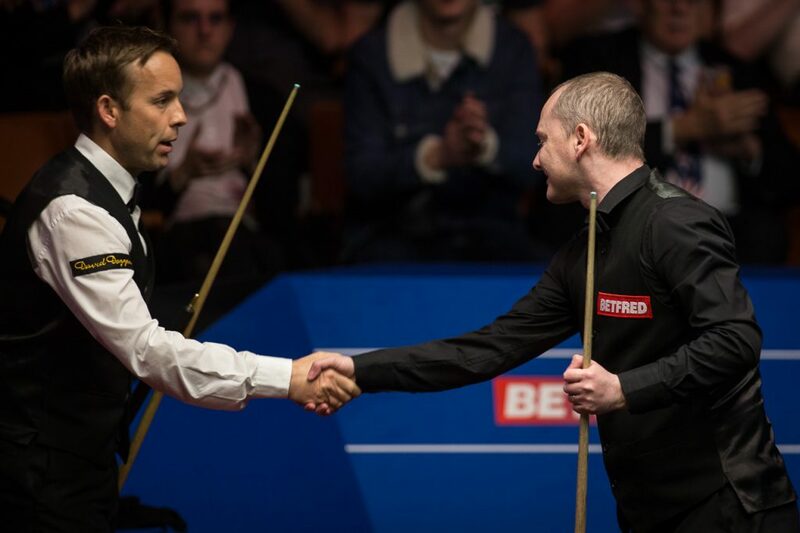 Graeme Dott booked his place in the second round of the Betfred World Championship by defeating Ali Carter 10-7. The 2006 World Champion has a tremendous record at the Crucible, having also been runner-up on two occasions. 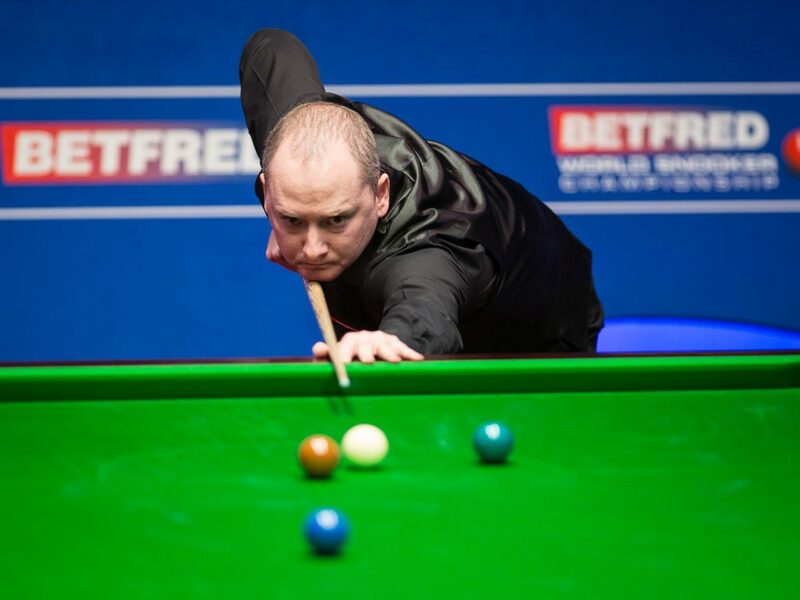 Dott has once again saved his best for snooker’s biggest stage. However, he has struggled in 2016/17 – today’s win sees him progress beyond the last 32 for the first time this season. Defeat will be bitterly disappointing for Carter. It’s the first time he’s lost in the first round at the Crucible for 11 years. The World Open Champion came into this afternoon with a lot to do. Dott had accumulated a 6-3 advantage in yesterday’s opening exchanges. The Captain soared back into contention at the start of play. He compiled a fine century run of 111 to make it 6-4. However, the Scot halted any momentum Carter may have had from his start with a break of 74 to re-establish his three frame cushion. They then traded frames and headed for the mid-session break at 8-5. When they returned Carter notched up another ton to apply the pressure, the break of 104 made it 8-6. It was soon 8-7 after another fine contribution of 88. However, Carter’s first session arrears ultimately left him too much to do as Dott won two fragmented frames to get over the line 10-7. Dott remarked: “My performance was really good, I felt quite comfortable all the way through the match. Probably the only thing I didn’t do was score that heavy, I’m really happy to win. A despondent Carter admitted that the damage was done in yesterday evening. “I lost it in the first session really. Graeme is a tough opponent, it is a bit like watching Alex Higgins play. You think he’s going to miss and he just keeps knocking them in. He’s so hard to play against because he’s good at winning all the scrappy frames. I was just fractions out all the time from being perfect. 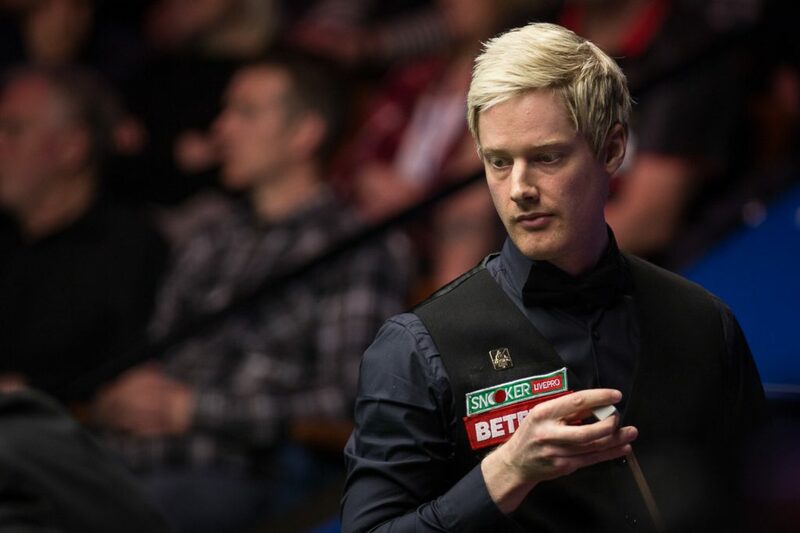 Neil Robertson produced a dominant display to rack up the biggest first session advantage accumulated so far. He leads Thailand’s Noppon Saengkham 8-1. The Australian’s most recent tournament victory came in the first event of the season at the Riga Masters. Since then Robertson has struggled to find his best form. However, Robertson missed the China Open recently to prepare for the World Championship and he looked sharp this afternoon. Robertson compiled breaks of 76, 77, 61 and 113 on his way to establishing the advantage. The Thunder from Down Under will be looking to finish off the tie in the concluding session tomorrow.